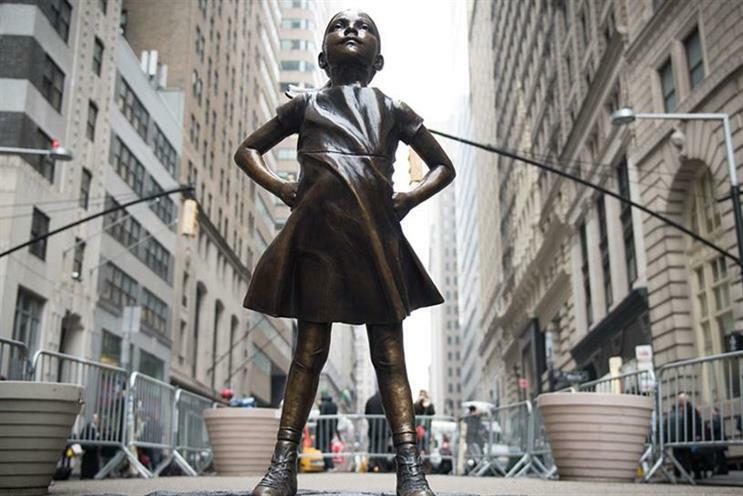 McCann New York's statue for State Street Global Advisors, "Fearless Girl", was one of the three top winners at last night's D&AD Impact Awards in New York. The statue, which faces Wall Street’s Charging Bull in Manhattan, was also the big winner at this year’s Cannes Lions, picking up four Grand Prix: Titanium, Outdoor, Glass and PR. Among the 13 winners of the white Pencil, billed as the "premier accolade for creativity for good", were JWT London and Shell for "Gravity light", a project to bring safe and reliable renewable lighting to places without electricity infrastructure. D&AD chief executive Tim Lindsay said: "In today’s uncertain political times, the role that businesses and brands play in shaping and influencing the world cannot be overlooked. "Following the success of last year’s inaugural awards, the need for world-changing creativity and campaigns has become more important than ever. Consumers and citizens demand accountability and action. "This year, our mission was not to acknowledge and celebrate, but to highlight the opportunity businesses have to harness the power of creativity as a force for good and galvanize real change to improve our society." A total of 98 Pencils were given out, with Graphite and Wood Pencils awarded for work considered world-leading across twelve categories, including Environmental Sustainability, Financial Empowerment and Humanitarian Aid.